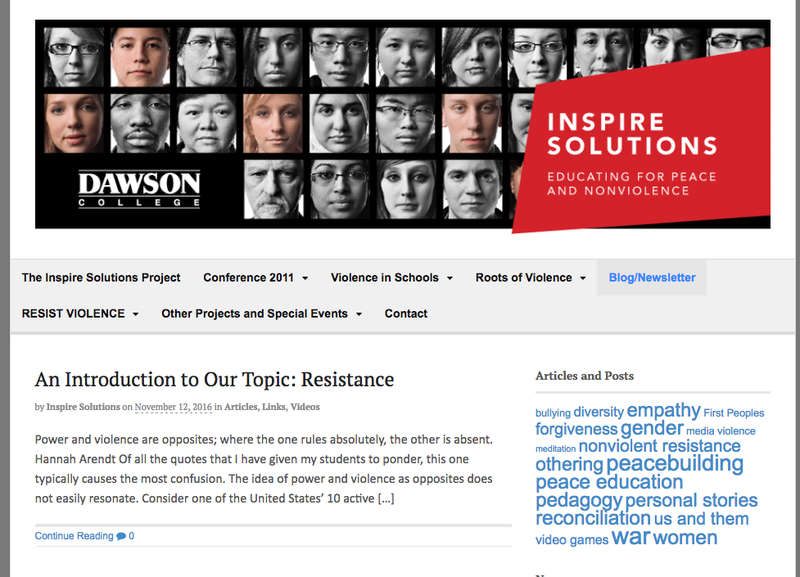 The current edition of Dawson College’s Inspire Solutions examines nonviolent resistance. Click the image below. Next Cyber Day Sale: 50% off of Peace Jobs!